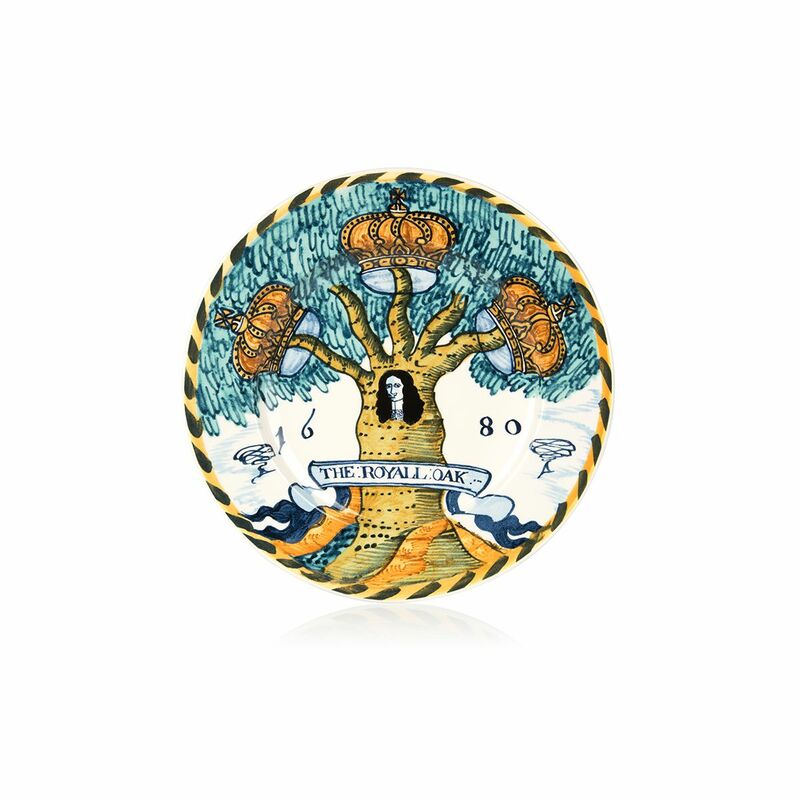 To celebrate the exhibition Charles II: Art and Power, Buckingham Palace has created this exclusive new plate. A type of tin-wear pottery, it is a direct copy of the original in the Royal Collection. 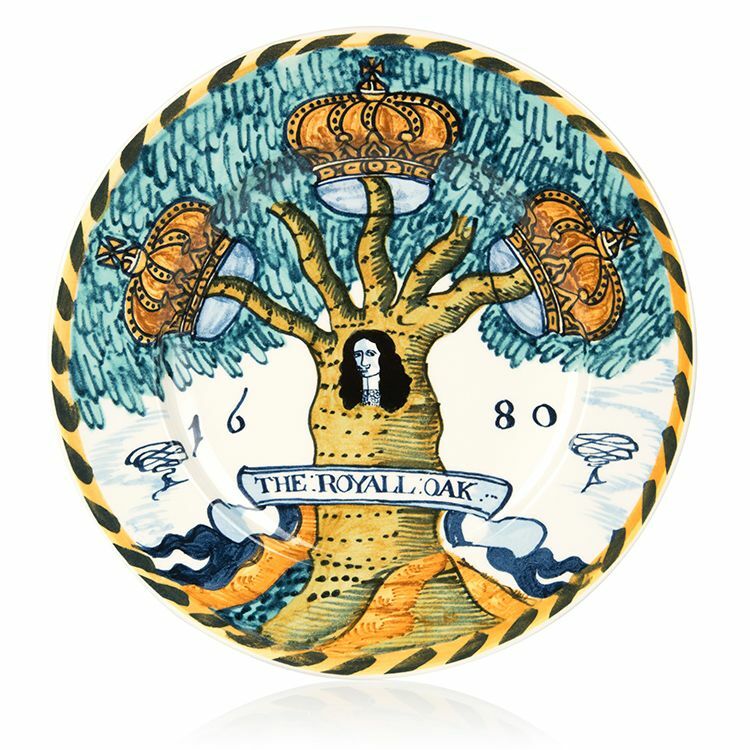 It shows a painting of the 'Royal Oak', the famous English oak tree in Boscobel Wood where the future King Charles II of England hid to escape the Roundheads following the Battle of Worcester in 1651. After the restoration of the monarchy in 1660, the story became popular and is still remembered every year in the English traditions of Royal Oak Day. Hand made in Staffordshire, England from the finest earthenware and using traditional slip cast techniques unchanged for generations.